Competing with Amazon, the ebook and high street chains, does the independent bookstore still have a place on the high street? Absolutely, if their unexpected resurgence is anything to go by. The independent bookstore is making a comeback, thanks to the enduring appeal of physical books and friendly, charming establishments, as well as the value-add of book signings and other events. It’s an exciting time to be a bookstore owner if you have retail experience and – most importantly – a love of books. Along with the music industry, the bookstore sector has suffered more digital disruption than most. The advent of e-books, online retailers like Amazon, affiliate company The Book Depository, along with heavy discounting at high street chains, has given traditional bricks-and-mortar bookstores a difficult time. Although many independents have closed, the good news is that the industry is enjoying a renaissance. With physical books still favoured by many, e-book sales have stalled and enterprising bookstores have enticed book lovers back with cafes, wine bars, book readings, signings, and other experiential value-adds that Amazon can’t offer. Bookstore franchise Dymocks, has benefited from the printed book’s resurgence. In an article for the Financial Review, its managing director Steve Cox said: "We've had three years of strong growth, and we're on track to deliver a fourth." Despite the bookstore’s renaissance, this sector remains something of a labour of love. For the right person – and first and foremost that means loving books – it can be a very rewarding venture, albeit not necessarily financially. Consider the following pros and cons before embarking on the process of. Tranquil environment. It won’t be a plus for everyone, but you might relish a peaceful ambience where customers enjoy serenely browsing the shelves. Customer service satisfaction. You get to offer advice on, and sell, a product that generally inspires happiness. To your customers, there's nothing better than curling up with a good book. Sourcing stock. 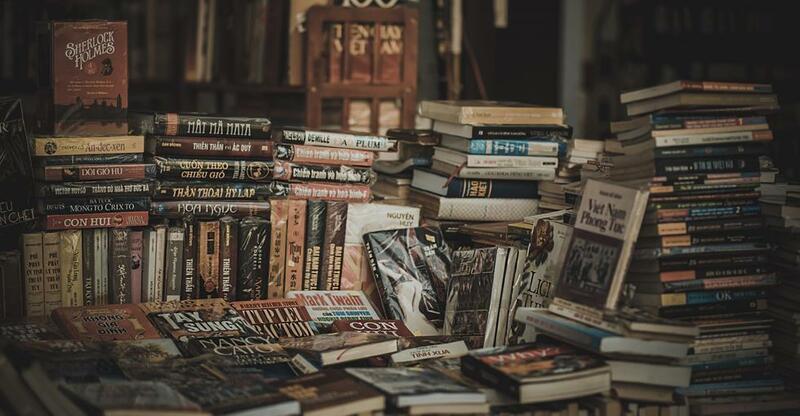 If you’re a book lover, then sourcing stock can be immensely satisfying – especially for second-hand books. Unearthing an obscure gem for a dollar at a garage sale, charity shop, or for nothing from a school or library clear out, can be hugely satisfying. But there’s no pressure to refresh your stocks regularly with new titles – older books are still popular and the classics never go out of fashion. You won’t get stuck with unsold stock. Many publishers have arrangements with bookstores that allow the store to return unsold books, eliminating risk on stock purchases. Contribution to the community. The bookstore’s role in the local community is changing. Many forward-thinking owners have turned them into community hubs through book clubs, author signings and talks, gigs and other events. Not a high-octane occupation. The bookshop’s tranquillity may be dull to people who crave hubbub and excitement. Amazon. The threat from online retailers, which have lower overheads and therefore often lower prices, has been heightened since Amazon’s launch in Australia. High street chains. A franchise network like Dymocks has the buying power to undercut independents on the price of bestsellers. Ebooks. Still a threat despite a recent dip in ebook sales. It (probably) won’t make you rich. Partly for the reasons above, this is not a trade that will land you on the Forbes Rich List. By all means, you can make a good living, but enter this sector for a love of books – not for making money. Running a bookstore won’t suit everyone. More than most industries, it arguably requires a passion for the product you’re selling. What other skills and attributes do you need to be a successful bookstore owner? Organisational skills. You have to think like a librarian. Curation is key: Organising books by genre, alphabetically or by other variables, while having a keen sense for which bestsellers are most effective on window display and prominently within the store. Resilience and creativity. Bookstore owners have to roll with the punches with the industry beset by multiple threats. A flair for thinking creatively about harnessing your space for book signings and other events or pitching yourself as a specialist in certain genres can help you distinguish yourself from Amazon and Dymocks. Retail experience. You needn’t have owned a shop before but some sort of retail experience is invaluable, as one Melbourne-based bookstore owner. Love and knowledge of books. Customers will expect you to be informed about your stock in order to help them make the right choice. Being a bookworm is a foundation of owning a bookstore. Physical book sales in Australia contracted sharply between 2010 and 2013, but have since rebounded. Defying predictions of the bookstore’s demise, independents have proven more resilient than expected in the face of competition from the e-book and online retailers. This is especially the case in Australia, where indies account for a higher proportion of book sales – 30 percent – than anywhere else in the world. With a love of books and a talent for finding a niche that appeals to the local community, bookstore owners can still run a successful and satisfying business in the age of Amazon. Want to buy a bookstore? Browse our book shops for sale now. The Bookstore Buyer: "You Need Retail Experience and a Passion for Books"
What does it take to run a bookstore successfully? We asked Melbourne-based bookstore owner Liam Jose to share his advice for those thinking of taking the plunge.